The Filipino's has a dining scene unique from SE Asia and similar to America - there are lots of chain restaurants - instead of TGIFridays or Chili's, there's Max's, Gerry's, and Bixby's. Most of the food has a Filipino slant. Gerry's is a good place to try sisig. However, there are also a few Westernized places like Army / Navy which specializes in burritos and hamburgers or Mooon which offers Mexican. Most of these places tend to be located in mall food courts. Visiting a mall on vacation may not register as a tourist attraction but in the Philippines it's a great way to see local life and try the chain dining experience. It's just in my mind that the Philippines has a high volume of chain restaurants - Wikipedia has a dedicated Philippines Restaurant subpage to it's primary chain restaurant page. It's one of only countries with a subpage. 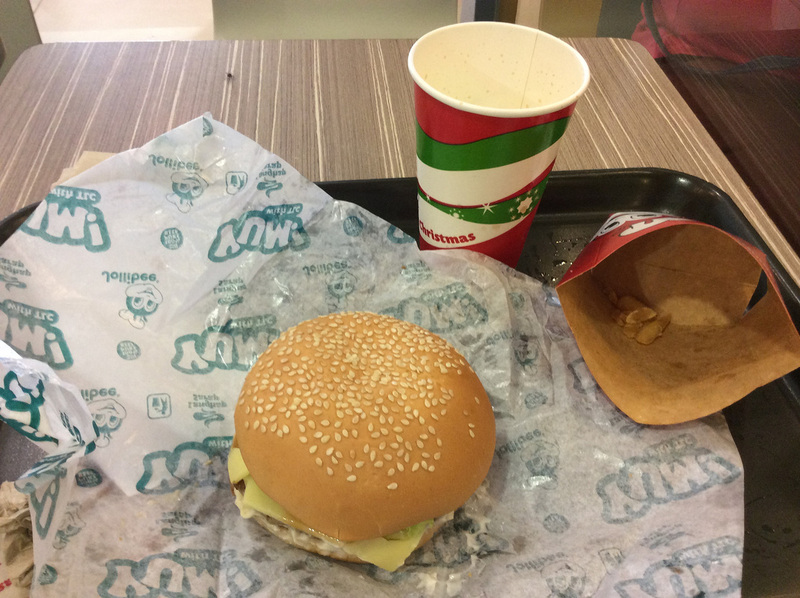 Fast food is a favorite dining option of Filipinos when they are looking for a break at the mall. The American options of McDonald's and KFC have a strong presence but in the Philippines it's the local places that seem to be most prominent, in the prime locations, and attract the largest crowds. One of my favorite Yoga Berra "Yogisms" is its so crowded no one goes there anymore. That's how I feel about Jollibee - it's so crowded I don't know why anyone goes there...yet it still draws tons of customers willing to wait ten minutes to place an order and another fifteen waiting for a yum burger with tomato and lettuce to arrive. 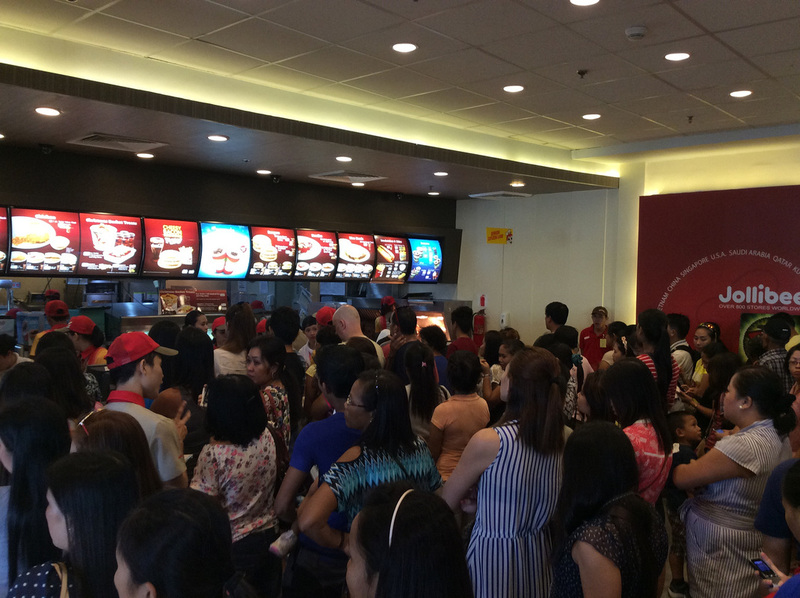 Even with someone filling out a pre-order card to hand to the cashier once you reach the front of the line, Jollibee manages to redefine "fast" food. If the mall lines are too long you could always wait and find a free-standing location which seem to have quicker service. Despite the wait, it's worth trying this iconic restaurant at least once when you are in the Philippines - it's an essential experience, the equivalent of In and Out burger on the West Coast. The menu expands upon the standard America fast food chain burger concept to include the other major Filipino dietary staples - fried chicken, sweet spaghetti, rice, and some sort of steak option. There's also a wide desert menu. 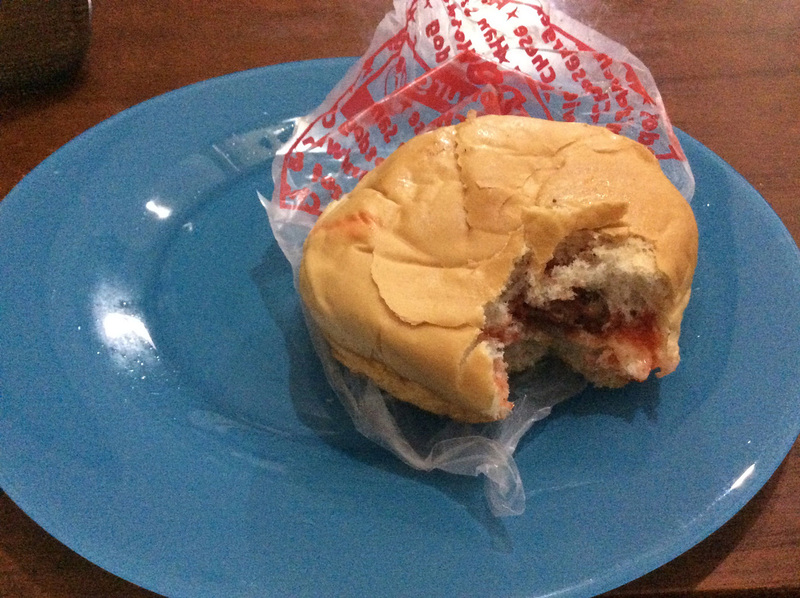 The burgers reflect Filipinos' sweet tooth as usually a thick coating of mayonnaise and another sweet secret sauce are doused on the burger. If you order one of the burger combo meals be sure to upgrade to a large or extra large fry size. The puny standard size does not provide nearly enough of Jollibee's excellent fries. Jollibee's Corporate "cousins" offer Chinese and Italian fast food, respectively. Although not neither is as prominent as Jollibee you'll often find all three of these restaurant clustered together in prime position at a mall. This restaurants is close in prominence to the "Big 3" of Filipino fast food - it offers a Barbecue Chicken and rice heavy menu. This is a hamburger and burrito place with menu items having a military naming convention - I'm not sure which (the hamburger or burrito) applies to the Army or Navy. The hamburgers are high quality hamburgers, definitely a few steps up from Jollibee and if it's red meat you are craving, this place is the better option. The burritos are decent enough and some locations offer a breakfast variety. 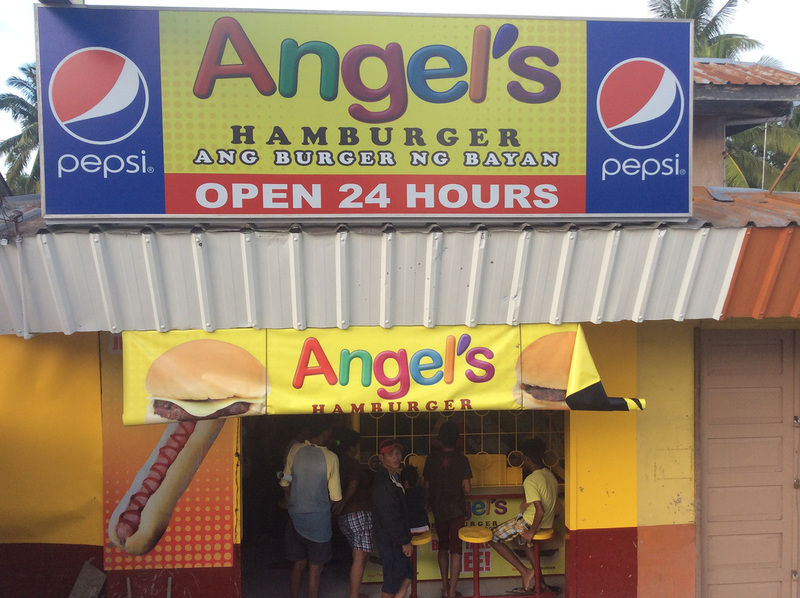 Nothing more than a shack, Angel's Hamburgers can help fix a beef craving in the land of pork, chicken, and seafood. The burgers are more bun than beef but they are cheap and usually available in a two for one discount. There's not much dine-in room available, however, these burgers are perfect to eat on the go. 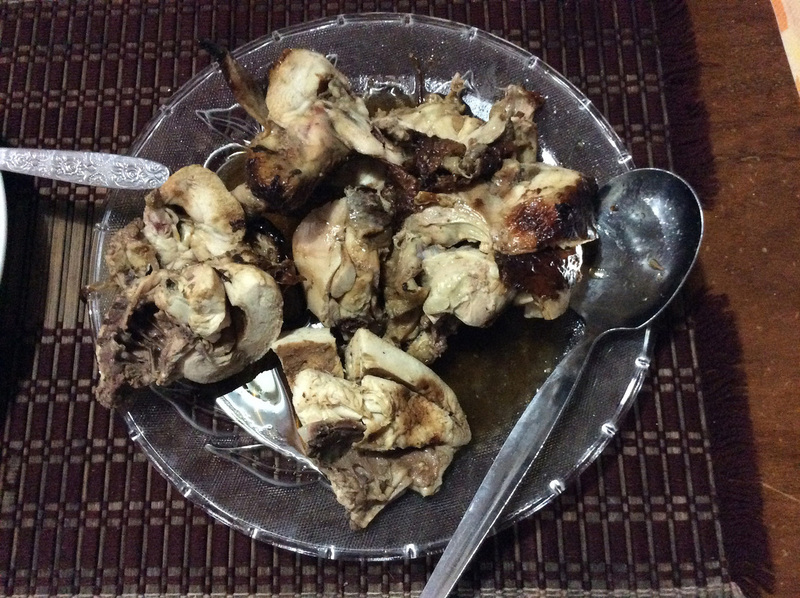 Pork is a staple but chicken, a.ka. 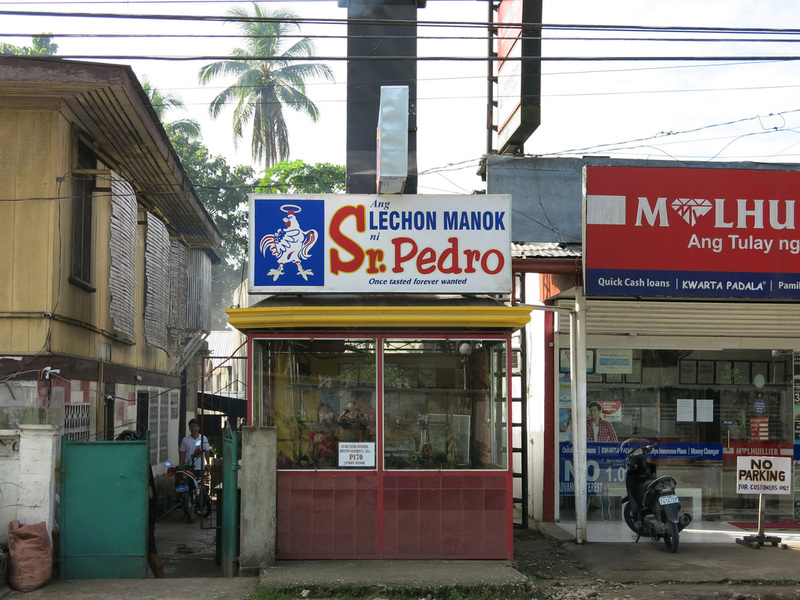 Lechon Manok, particularly from Sr. Pedro may be more readily available for purchase as every small town and barangay seems to have one. I've yet to see a Sr. Pedro with a dine in option - the ordering of this chicken seems to fill the similar "Friday Night, Let's Order Pizza" mentality in the U.S. Decent pizza and closer to East Coast US style than Shakey's (see below). Beyond fast food, the Philippines also has its share of TGIFridays, Chile's, and Applebee's featuring extensive local menus. Most entries cost below $250PHP making for an economical night out. Beer and soft drinks are reasonably priced. There's a wide range of Filipino food, with a specialization in seafood. It's and a good restaurant to try sisig, a Filipino national dish. Similar offerings to Gerry's Grill although with a fried chicken slant. A classier, slightly upscale version of Gerry's Grill with fewer locations. The menu has more group dining options. Mexican cuisine and decorated environment. Yes this is a U.S. chain...but there are more Shakey's in the Philippines than the U.S. When I lived in California, the only people who seemed to eat at Shakey's were Filipinos and the restaurants tended to be only located in Filipino communites - Glendale, Torresdale, etc. Thus the company decided to expand to the Philippines and the restaurants are such a common site you couldn't be blamed for thinking it's a Philippines' chain. I'm sure I've missed a few and there's a lot more dining options beyond these chains, although these chains do represent a distinct Filipino experience. Whether it's the group dining experience, higher disposable income, or the fact that Filipino's love to eat, the Philippines seems to have a much greater offering of restaurant dining that it's Southeast Asian neighbors.